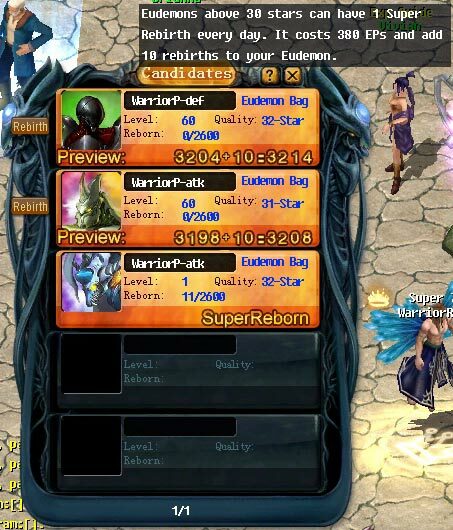 You can perform a 'super reborn' on Eudemons of 30 stars or above. 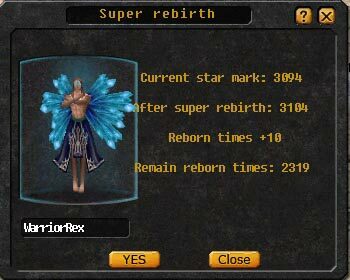 After being reborn, it will gain stars equal to that of 10 normal rebirths. 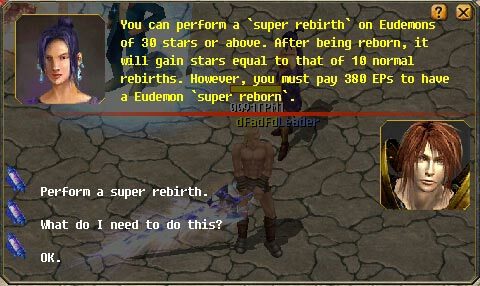 However, you must pay 380 EPs to have a Eudemon 'super reborn'. 1.Talk to Brianna in the market (322, 451) to check the details about Super Rebirth. 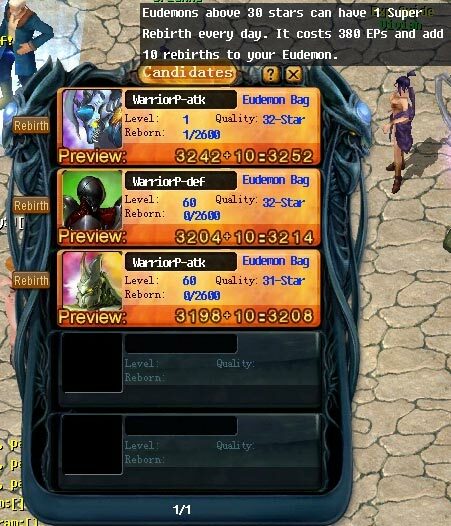 2.All available Eudemons will be listed in the Candidate window. 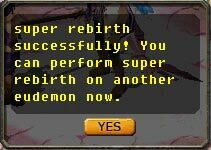 3.After the super rebirth is done, talk to Brianna again and you can check Eudemons that have been super reborn and those to be.